Farr aligned himself with white supremacists in the truest sense. He had ties to the Pioneer Fund, one of the nation’s oldest hate groups founded in 1937 to study “racial betterment.” The Pioneer Fund sponsored research into theories that African-Americans were genetically inferior to whites. Its political connections ran straight through Jesse Helms and his vast enterprise that thrived on racial division. 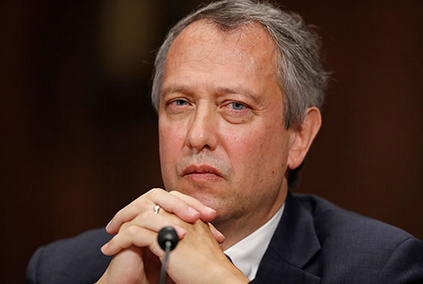 Farr played a role in the some of the country’s most racist political campaigns including Jesse Helms’ bid for Senate in 1984, cited by a federal court as an example of how racism continued to flourish in North Carolina politics. Farr engaged in voter intimidation during Helms’ 1990 campaign against Harvey Gantt, the first African-American mayor of Charlotte. Gantt was gaining ground, so Farr and the Helms’ team plotted to intimidate African-Americans from voting by postcards, warning they could face prison time for voting. This was so egregious that the Republican-led Justice Department charged them with Voting Rights Act violations. Dr. King famously stated, “Injustice anywhere is a threat to justice everywhere.” This applies to the federal courts, too. This is why people in Ohio care about a judgeship in North Carolina. We cannot allow a white supremacist to assume the bench anywhere. It threatens our justice system everywhere.